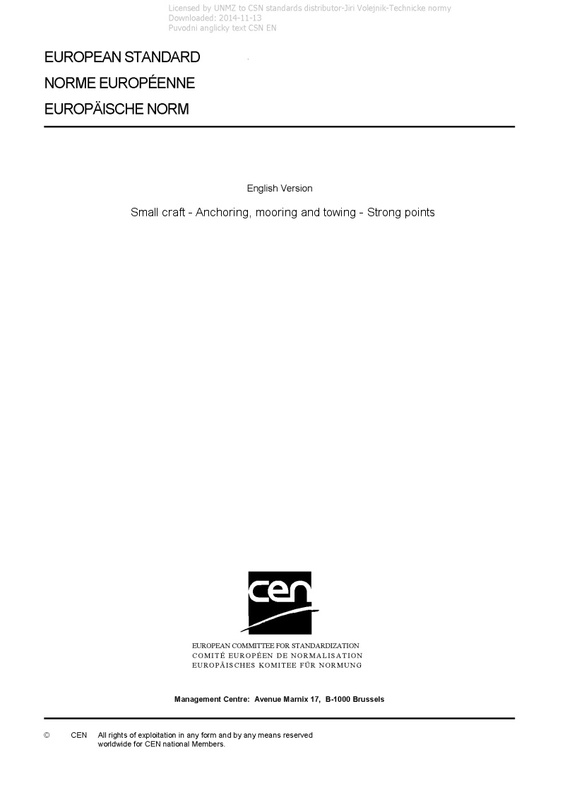 EN ISO 15084 Small craft - Anchoring, mooring and towing - Strong points - ISO 15084:2003 specifies requirements for strong points for attaching chains, cables and lines for anchoring, mooring and towing small craft. It does not specify the requirement for the strong point from which the craft can tow other vessels. This standard is applicable to small craft with a hull length up to 24 m. ISO 15084:2003 does not define anchor weights or the length of chains and lines.